It's the dead of winter. The windows haven't been open in months. The air is dry and filled with dust and winter blah. Thankfully, there's a natural and beautiful way to purify the air in your home with these 18 NASA Approved Air-purifying Houseplants! 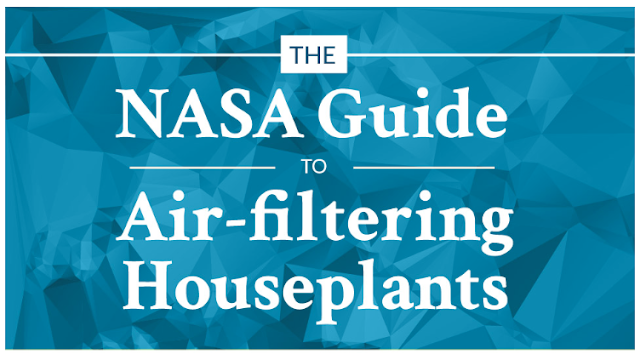 But first, some background on NASA approved air purifying houseplants... It all started in 1989 when NASA wanted to figure out a way to clean the air in space stations. Plants were a no-brainer since they have long been praised for absorbing carbon dioxide and releasing oxygen. 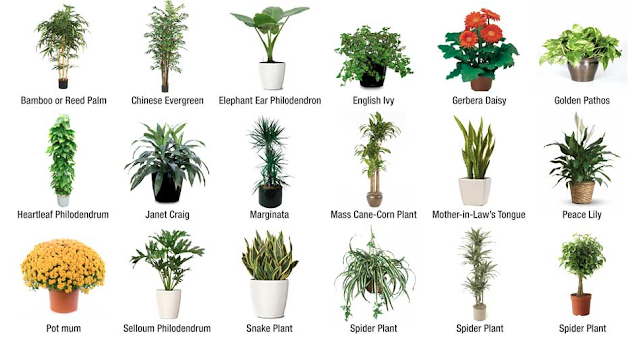 The study found that "certain common indoor plants provide a natural way of removing toxic agents while neutralizing the effects of sick building syndrome. The findings suggested efficient air cleaning is accomplished with at least one plant per 100 square feet of home or office space. 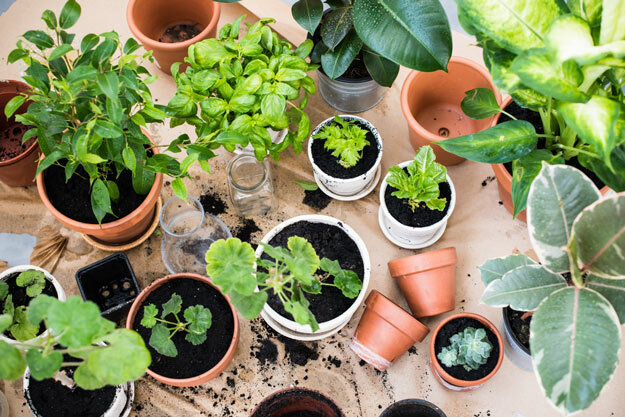 Other more recent research found that micro-organisms in the potting mix (soil) remove benzene from the air, so it's not just the plant, but the soil doing the work, too! FIRST! 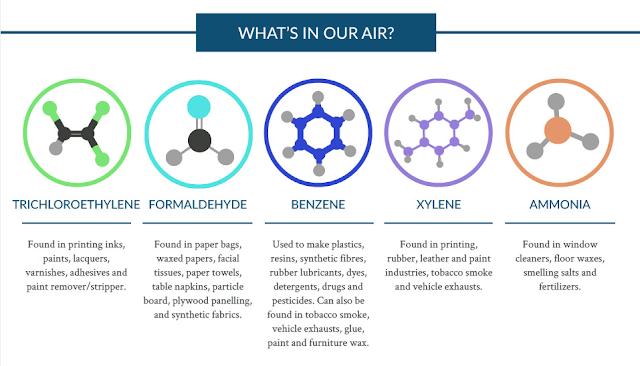 Find out what's lurking in your air, then choose the right plant for your needs. 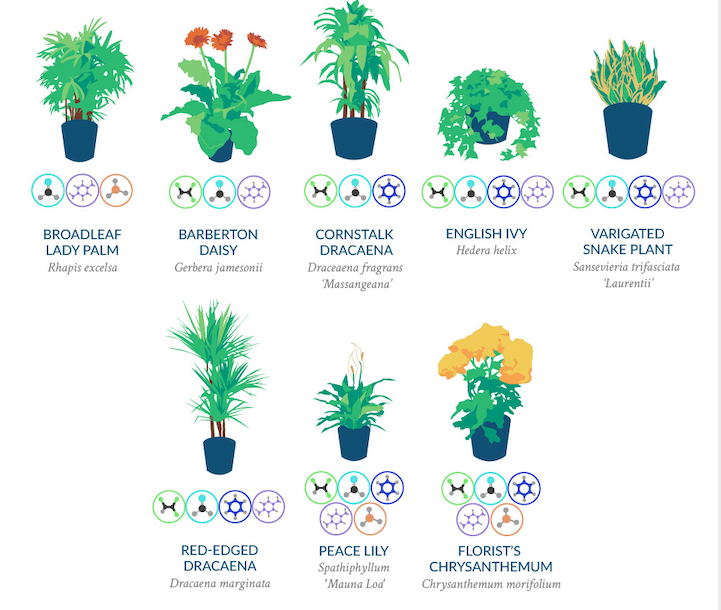 SECOND: Use the above to match the perfect plant, below! 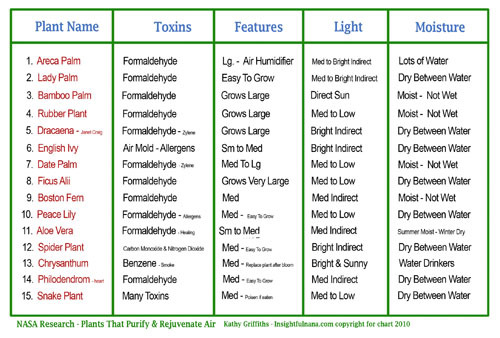 The following is a sort of cheat sheet to find which plant is best for various toxins and how to care for it. 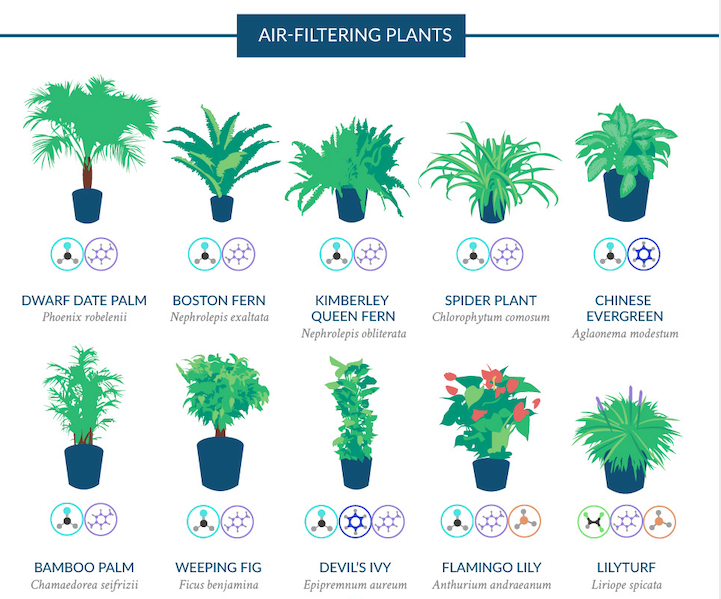 To see specific plants and care instructions, check out my Houseplant Air Purifier Pinterest Board, Here.